On the first day of Christmas the Blue Jays gave to me, a legitimate contending team. Travis Logan winds up for a long distance throw at Wishing Well Park on Oct. 3. It’s getting dark pretty early these days… guess the kids could turn the spot lights on. The infields are flooded, but I suppose Travis could practice in the outfield for now. Can’t get away with a t-shirt at night anymore, he might as well throw on a jacket. The conditions of Wishing Well Park in Scarborough aren’t optimal in October, but it’s not enough to stop Travis Logan and his peers from practising as much as possible. Sure the season ended over a month ago, but there’s plenty of time in the winter for the young teenagers to hone their skills on their way to being a professional. 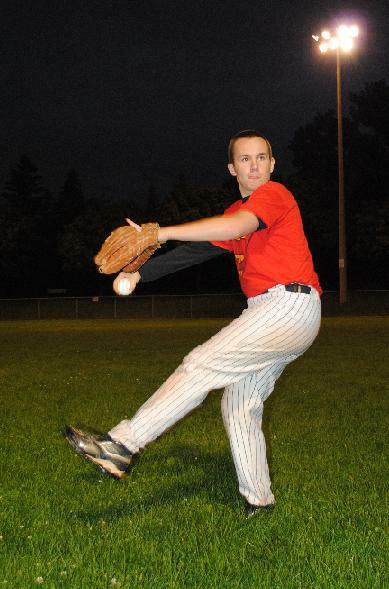 The road to professional baseball is a road seldom travelled by Torontonians, which is exactly why Colin Cummins created Red Eye Pro Baseball. The new training facility, which opened in Scarborough last year, was built for kids like Travis Logan.